An epic retelling of the Thirty Years’ War as experienced through the trials of a cunning canteen operator determined to make a profit from the war, no matter the danger to herself or her children. Considered to be one of the greatest plays of the 20th century, Quintessence expands its definition of classic and launches its seventh season led by Philadelphia legend Janis Dardaris as Mother Courage, Tony Nominated actor Forrest McClendon as The Cook, Quintessence favorite Gregory Isaac as The Chaplain, and rising star Leigha Kato as Kattrin. Directed by Quintessence’s Artistic Director Alexander Burns, and using an original score by Obie winning composer and Philadelphia native Michael Friedman (The Civilians, Bloody Bloody Andrew Jackson) with David Hare’s contemporary English translation, Mother Courage and Her Children promises to be a highlight of Philadelphia’s fall arts season. 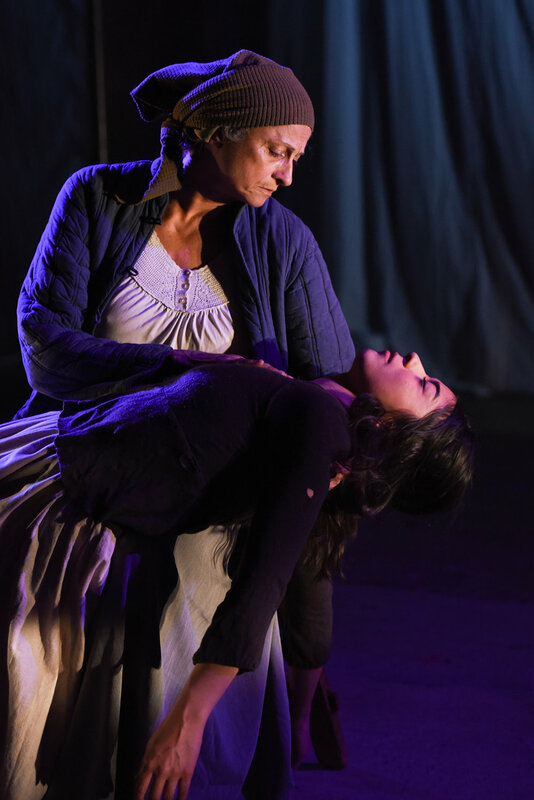 Mother Courage and Her Children runs 2 hours and 45 minutes. There is NO LATE SEATING due to the nature of this production.